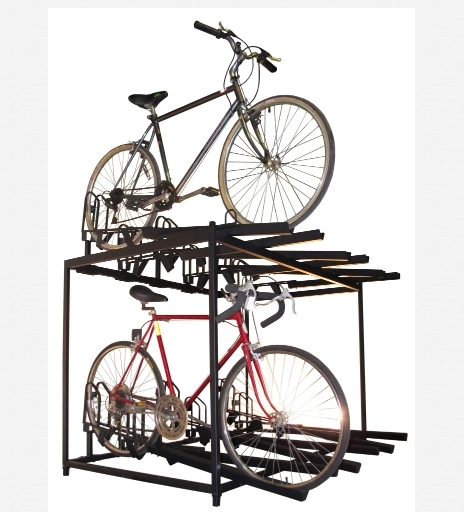 Storage Stand Up | Does your Bike Room look like this? 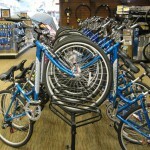 The Storage Stand Up is easy to use, intuitive, and saves aisle space. 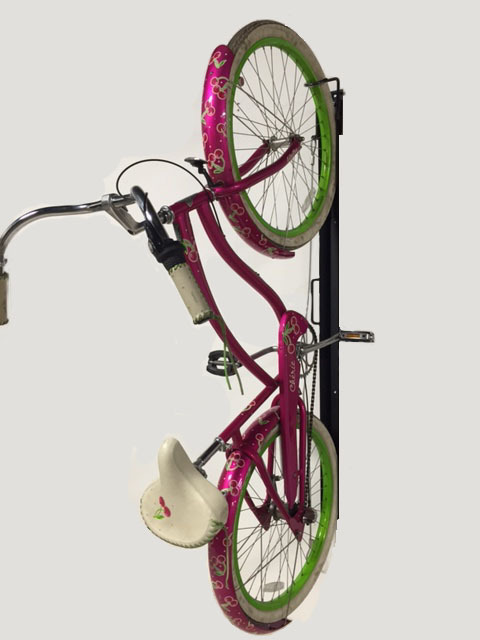 It can be placed anywhere and will decrease the footprint of the bicycle without having to lift the bike to park it. 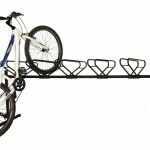 This rack is a great option for people who are opposed to double stacked or hanging racks that requires lifting the entire bike. 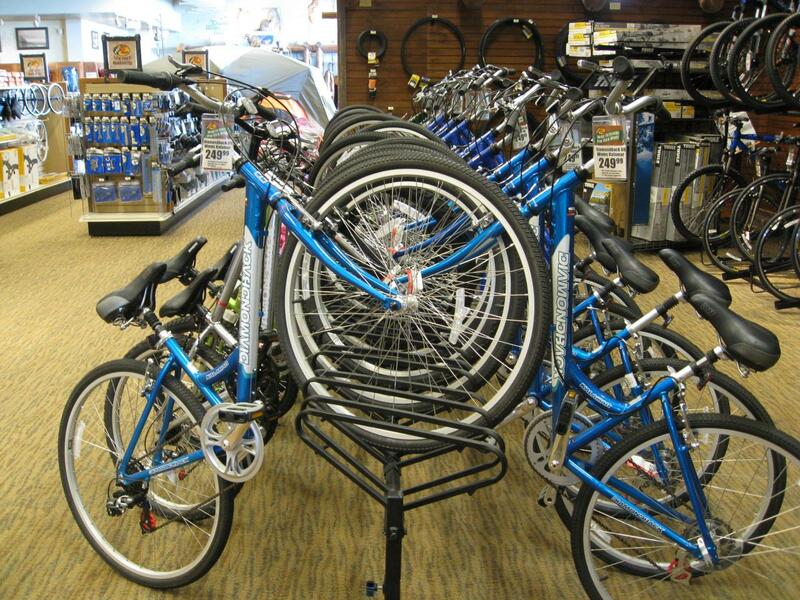 The Storage Stand Up is easy to use, intuitive, and saves aisle space. 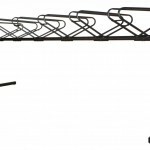 It is a freestanding rack that does not require permanent mounting. 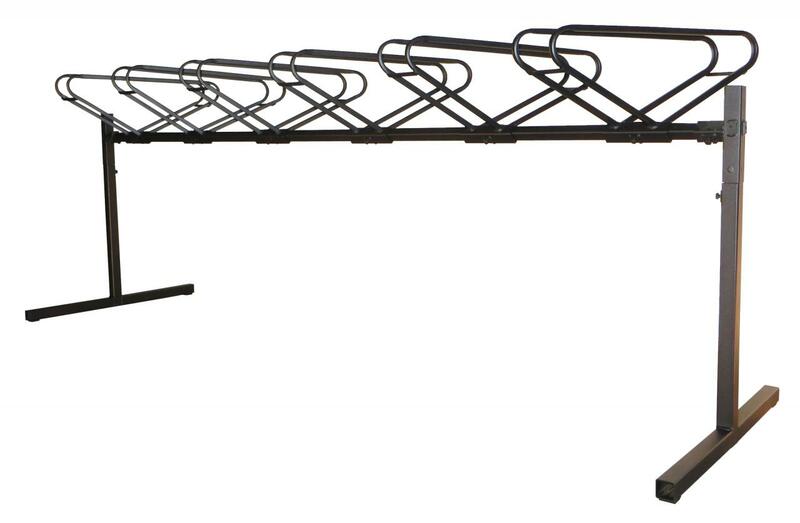 This allows you to move the rack around if needed. 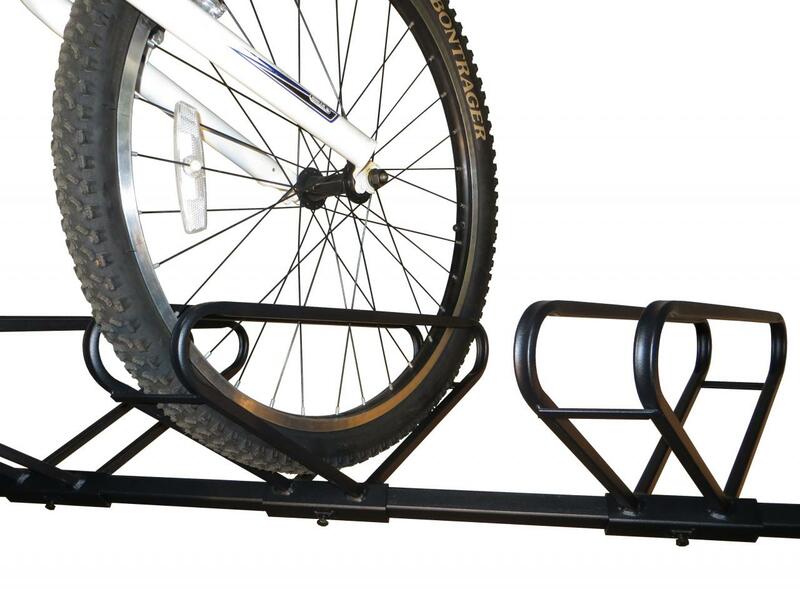 It will decrease the footprint of the bicycle without having to lift the bike to park it. 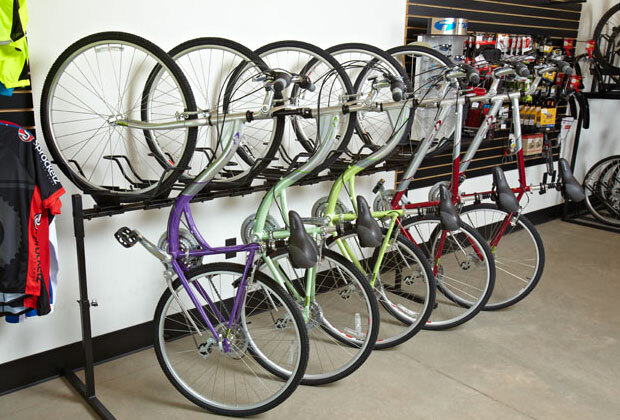 This rack is a great option for people who are opposed to double stacked or hanging racks that require lifting the entire bike. 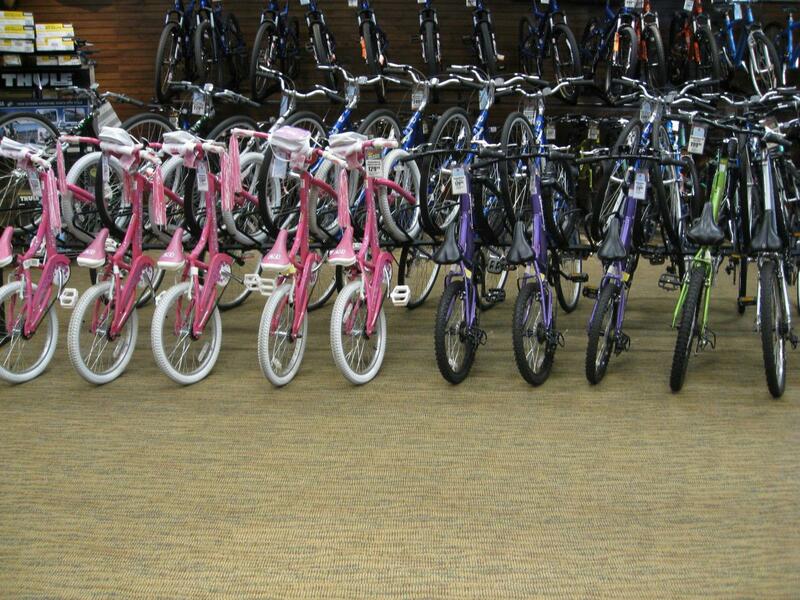 Decreases space bikes take up by minimizing the horizontal footprint. 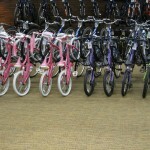 Standard sizes are 6,7, and 8 in single sided format and 9,10, and 11 in double sided format. 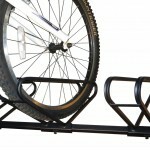 Rider simply places front tire into the cradle. 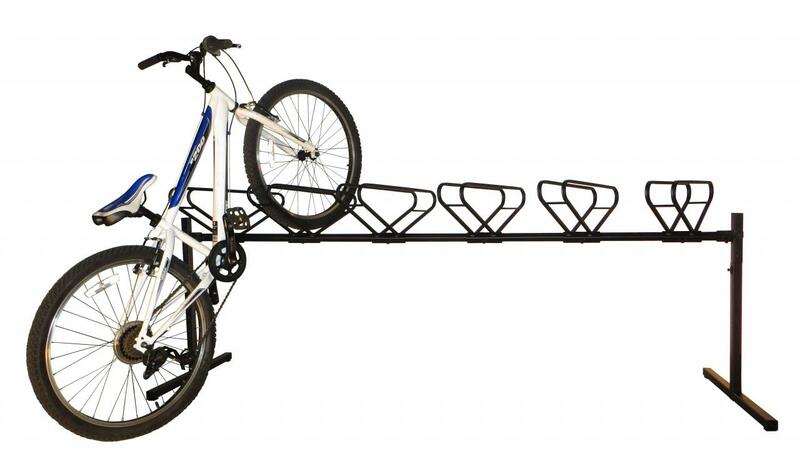 No need to lift entire bike.